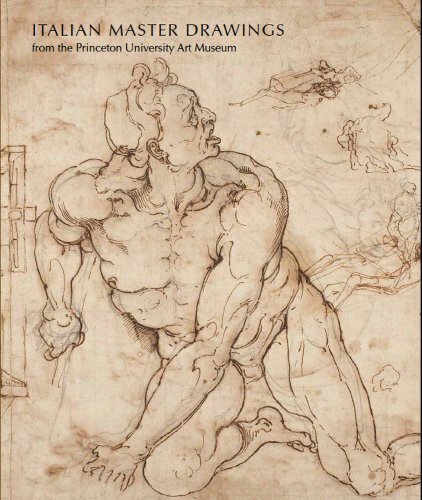 This is a large 334-page hardcover collection of Italian drawings at the Princeton University Art Museum. It was published as a companion to the exhibition that's running on 25 Jan to 11 May 2014 at the museum. Included in the book are over 100 drawings, many printed at full pages. The book takes a more academic approach, not surprising, analysing the images, talking about the technique, function, and connoisseurship. There are works from artists Luca Cambiaso, Guercino, and Giambattista Tiepolo, as well as masterpieces by Carpaccio, Michelangelo, and Modigliani. Many are rarely seen. You'll see a lot of sketches as compared to finished paintings commonly associated with some of these old masters. If you want an in depth understanding to how old masters draw, this is the book.